Under the auspices of the American Graduate School in Paris (AGS), the American Graduate School of Business and Economics (AGSBE) prepares students for international careers in business, corporate finance, investment banking and marketing. The school is open to both working professionals wishing to advance or redirect their career, and students having recently obtained an undergraduate degree. No knowledge of French is required for admission as, even though the programmes are held in Paris, they are taught in English. Students then graduate with degrees fully accredited in the U.S. The American Graduate School of Business and Economics is dedicated to educating principled leaders for the world of tomorrow. Provides the proper venue for free exploration and learning of the latest theories and practices in economics and business. The faculty is comprised of both accomplished scholars and experienced professionals, which allows students to combine a theoretical with a practical approach – vital preparation for applying the knowledge acquired to achieve specific professional goals. The American Graduate School of Business and Economics maintains small classes and puts an emphasis on group work and interaction with professors. The school is strongly committed to academic excellence as well as dedication to students, which creates a unique learning environment. 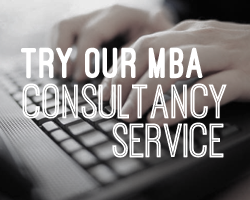 Fill out your details to get in touch with American Graduate School of Business & Economics and find out more about their programs.